Zen Central has been the home of Oki-do Yoga in Brisbane since 2002. Oki-do is a dynamic, holistic yoga unifying aspects of Indian Yoga, Chinese Taoism and Japanese Zen. It includes a great variety of exercises and natural movement with a flowing relationship to the traditional asanas. Being mindful and wholehearted is the focus of all the classes. Key Oki-do principles include hara, gratitude, positive mind, oneness and smile/laugh. Oki-do Yoga is inspired by the life and teachings of Dr Masahiro Oki (1921-85). Oki-do is to create enjoyment for oneself as well as for others. To be natural in body, mind and breath as the basis of health, happiness and peace. In Oki-do we’re concerned with personal development, interpersonal learning as well as getting in touch with the transpersonal. In other words we start by stabilizing the body, detach the mind and then cultivate love and compassion. Then aiming to embody this experience in all aspects of daily life. 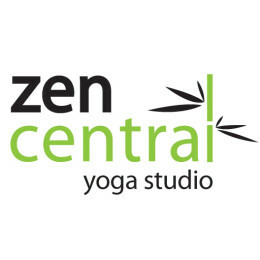 Zen Central Loyalty Card - come along to 10 casual classes and your next class is free! Cash only please. There's no eftpos machine at the centre.